This is the deadline for farmer and food-processor Growing Forward (GF2) cost-share project applications for work to be completed on during the coming winter months. I know this is not the preferred time to think about winter projects. But only a simple 4-page application needs to be submitted by August 27th. Clients regularly assure me that with 50% cost sharing, the benefits of these projects are very cost effective. If you wish to discuss some ideas, please call me. GF2 recently changed the process for how farmers, processors and their consultants complete their Capacity Building projects. Work can no longer be done at any time during a fiscal year; now work can only be commenced after approval and these approvals are considered only three times per year. Present the business in a way that lenders and investors understand and thereby feel comfortable to provide funds for needed land and equipment. Identify customers’ values that lead to defining a Brand that can warrant higher prices and more consistent purchases. Calculate full costs of production to confirm that sales prices on every product contribute to reducing risks and increasing family wellbeing. Extending seasons by increasing shelf-life with optimal soil fertility, variety selections, best harvest dates, effective storage facilities. Increase worker retention and efficiency with appropriate equipment, training, steady workload, respect, and fair remuneration. Setting up a recordkeeping system that is easy to use on a timely basis, and provides many useful decision-making tools. Creating a Certified Food Safety and Traceability system that aligns with Organic Certification, Tax Filing, and Budgeting systems. My target is to provide more value than my clients pay for. My goal is to increase owners’ income to not only cover personal expenses, but to save enough to cover illness (of a parent, child or spouse), take regular holidays for re-creation, and be able to slow down when age dictates. To give our well-used family garden benefits of some cover crop rejuvenation, we moved the garden to a new location. I had forgotten how wonderfully amenable garden soil becomes after 5-years of encouraging soil biology to thrive. Poor drainage, crusting, weeds, fertilizing, washouts, soil pests, and diseases become bygone annoyances. It is considerably easier optimize soil by spending a few years of building soil-life with cover crops without the annoyance of laboriously cultivating around crops. “Time” is an important amendment that new farmers must learn to respect. No longer having a greenhouse to start bedding plants, I have had to rely on local nurseries. Unfortunately they all seem to provide plants grown in sterile soil (peat, coir and perlite) augmented with sterile soluble fertilizer. But the plants stop growing for a couple weeks as they adapt to garden soil conditions. Germinating seeds with a small amount of biologically active soil allows the plants become accustomed to working with bacteria and fungi. 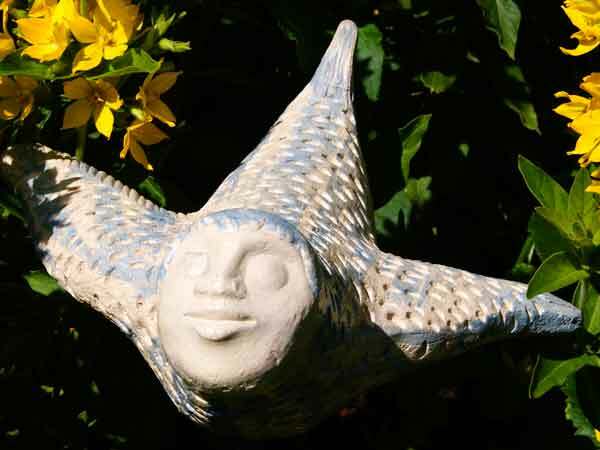 Then they can continue growing without hesitation when moved into the garden. Take this opportunity to hear Australian soil specialist Dr. Christine Jones. For the professional farmer during this Year of Soil, Ruth Knight, the Soil Consultant I often work with, has put together a terrific workshop. 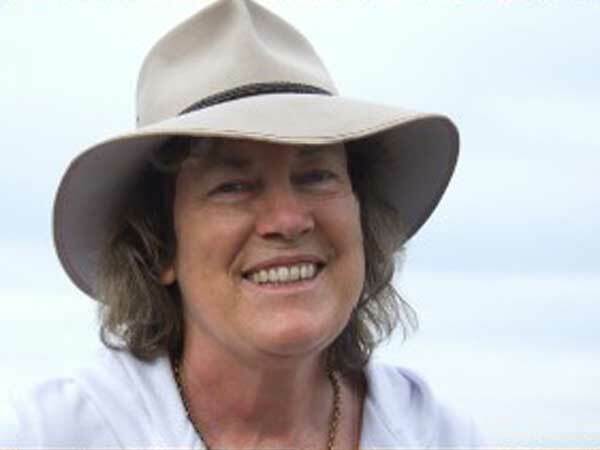 Soil Regeneration Soil Health Day will highlight Australian Dr. Christine Jones. 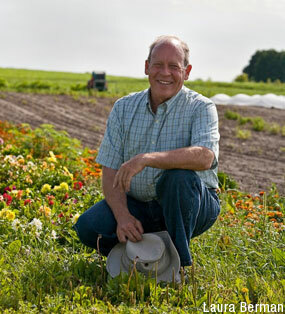 This internationally renowned groundcover and soils ecologist works with farmers in implementing regenerative practices to restore soil health that improve farm profits. Along with Dr. Jones will be soil experts and experienced farmers Lucas Criswell, Gerard Troisi, Sarah Troisi, Jeff Rasawehr, and Tim Prior. The workshop will be held on August 14 from 8:00am to 5:00pm near Cambridge, Ontario. Attending and networking at sessions like this will support even more opportunities to learn about workable alternatives to chemical farming practices. These were banned in Europe two years ago. Rather than the catastrophic crop losses predicted by the pesticide manufacturers (Syngenta, Bayer and Dow), there has been an overall increase in production! Ontario is the first North American jurisdiction to enact a partial ban. The new rules are expected to bring a 50% reduction in 2016 and an 80% reduction in 2017. The genetics of all living organisms are nearly the same. With all these disruptions, it reminds me of similar observations prior to the 1972 banning of DDT. But please do not blame the farmers. They need these government-approved tools to produce the cheap food our governments insist we need to export around the world. For several years Sustain Ontario has been actively lobbying Chicken Farmers Ontario (CFO) for more Flocking Options. Sustain identified unfilled demand for antibiotic-free, organic, free-range, and pastured chicken eggs and meat; plus they identified a need for chicken production on ecologically diversified farms. Prior to July 28th’s announcement, farmers had to pay $1.75-million for a quota to produce about 91,000 birds annually. This is a full-time operation that demands fully enclosed barns, fast growth, and antibiotics to protect such a huge investment. This system does provide fair and steady prices for farmers; and consistent supply and lower average prices for consumers. The only non-quota alternative was to get a (free) Small Flock Grower license to produce up to 300 birds per year. These could only be sold at the farm-gate (or under-the-table at some farmers’ markets). This is not sustainable commercial enterprise. CFO has finally added another license option. The Artisanal Chicken program is for 600-3,000 birds per year that can be legally sold at markets (or delivered to restaurants). Applications for 2016 production must be submitted by September 4th. A partial quota Local Niche Markets program for 6,000 or more birds will be announced in a few months. This is great news for both consumers and ecological growers. But this announcement does nothing about the rampant closing of abattoirs that are also integral to supplying the demand for more flavourful chicken.